We love linen! This natural fabric’s unique blend of sophistication and effortless style is perfect for spring and summer. From elegant clothing to luxe bedding, linen will keep you supremely comfortable throughout the warmer months. One of linens' innate charms are its crinkles, which add textural appeal to your spring and summer outfits and a gently rumpled refinement to bedding and throw pillows. At Sundance, we think this timeless fabric is on-trend for good reason, whether standing on its own or elevating a blend. Linen, known to be one of the world's strongest fibers, is made out of flax, which is more durable, stronger, and crisper than cotton and polyester. Linen becomes softer and more fluid through handling, and has more natural texture than cotton. Linen is also delightfully cool to the touch and dries quickly, so it has long been the smart choice in hot, humid climates. Think elegant soirees in Rio, a tapas bar in Barcelona or even sightseeing in D.C. on a humid summer’s eve. There’s an uncomplicated beauty in linen clothing that’s ready-made for warm, breezy days. We especially love its easygoing drape and lustrous feel, keeping you chic and cool when the temperature rises. A finely knit cardigan makes the perfect pretty layer for a July or August evening. Linen tees, whether simple V-necks or embellished with bright embroidery, are must-have staples for the season. 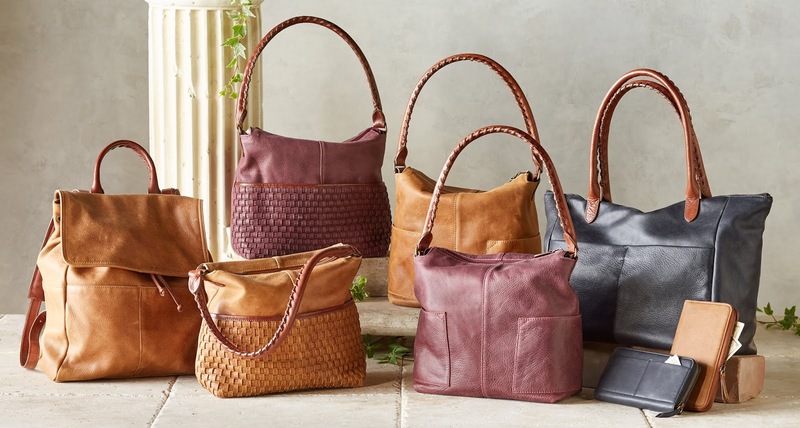 Here are some of our favorites from the linen shop. Warm Breeze Stripe Tunic: With its relaxed silhouette and lightweight linen weave, this captivating tunic is one you’ll reach for again and again. Tonal stripes, sweet pin tucks, a pleated back and an open-notch neckline make it the quintessential spring and summer top. Cascading Ruffles Tee: A classic summer look enjoys a romantic turn in our Cascading Ruffles Tee. With gentle ruffles at the V-neck and down the front, this distinctive linen tee gives your favorite jeans or summer skirt a pretty boost. Kennebunk Cargo Shorts: Linen blends with cotton in these so-soft cargo shorts. Lightweight and relaxed, they offer verdant charm to any look with sweet embroidered blooms at the pockets. 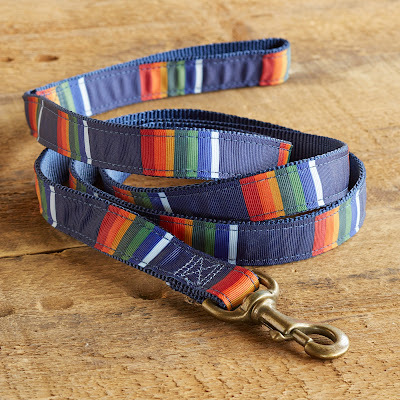 Pair with a white tee or lightweight button-front for a look that will carry you through the season. Surrey Culottes: These chic striped culottes put linen’s refinement on full display, and they dress up or down effortlessly. Pair them with flats and an uncomplicated tee for a beautifully laid-back look, or choose wedges and a blouse for a more sophisticated style. Tuck in your top to show off the charming lace-up detail in the back. At home, linen imparts a lived-in beauty to any room. With its luxe finish and cooling nature, this fabric is a gorgeous and inviting choice for sheet sets and duvet covers, in spring and summer florals or refreshing neutrals and pastels. It also makes a welcome accent beyond the bedroom in sweet throw pillows on sofas and chairs, or choose textural linen runners and napkins to add brightness to your table settings. Sakura Linen Duvet Cover: Brighten your bedroom in an instant with this duvet cover showcasing an exquisite, allover cherry blossom print. Soft and lightweight, it offers cool comfort for sleep throughout the warmer months. Gossamer Linen Ruffle Sham: With an airy ruffle around the entire border, our ruffle sham makes a truly romantic addition to your bedroom décor. Available in a variety of soft colors, it mixes the luxurious sheen of linen with shabby-chic style for a sweet and dreamy look. Pure Love Linen Pillow: Fall for the simple charm of this throw pillow designed by artisan Rebecca Puig. Its heart-shaped design with a fringe border gains a vintage vibe from gentle distressing, a textural weave, and a natural linen hue. Springhill Table Runner: A classic gingham check pattern adorns our Springhill Table Runner. Fine Belgian linen is yarn-dyed for rich color and hand woven into a cheerful runner with a contrast border that brightens any table. Whether your warm-weather adventures are near to home or far flung, you’ll relish them all the more with linen pieces woven throughout your wardrobe and your home. Discover our Linen Shop for our carefully curated collection of exquisite fashions and fine home accents. One of the trends we are loving for this in-between season of warm and cold is ankle or short boots. Unique short boots and booties complement your favorite seasonal styles with a versatility missing in conventional boots. The aesthetic of short boots works with varied looks: slipping easily under a pair of jeans, imparting a kicky flair to skirts and dresses, or even with a pair of shorts. 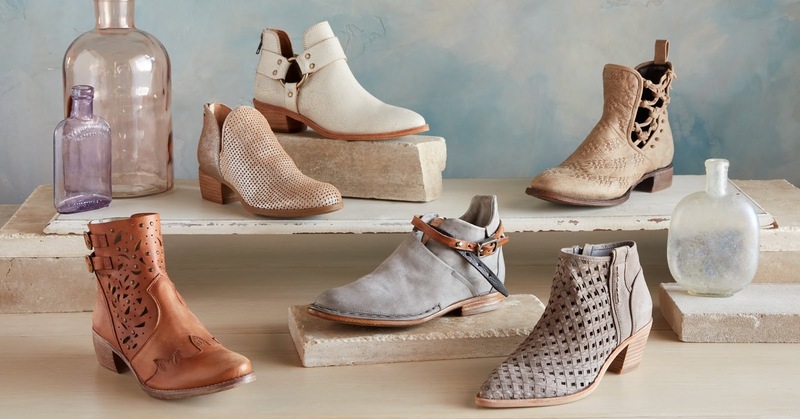 Our collection includes unique booties in styles ranging from uncomplicated to intricately embroidered and laser cut designs. If you’re looking for a go-anywhere pair, leather ankle boots from Sundance will rise to the occasion. 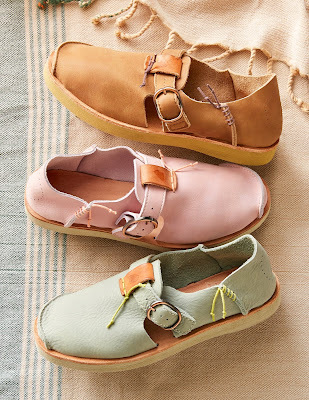 Prairie Boots: Kork-Ease® brings a subtle Western spirit to these no-frills, timeless 'Prairie' boots with all-day comfort. These 'Prairie' boots by Kork-Ease exude a distinctly Western vibe. Nottingham Short Boots: A bit of slouch in soft, lightly distressed leather, flexible soles, and contrasting details give these 'Nottingham' leather short boots a vintage patina and well-loved appeal. Kick up your heels in vintage style when you wear our 'Nottingham' leather short boots. 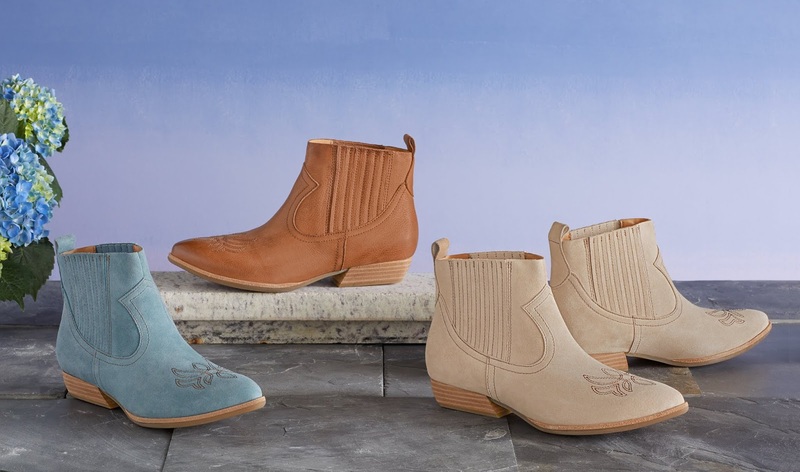 Reba Boots: Put your best foot forward in our 'Reba' boots, with airy, basket woven leather and stacked, wooden heels with comfortable, cushioned insoles and side zippers. Our 'Reba' woven leather boots are just the accessory you need to complete a favorite new look. National Park Chelsea Boots: Pendleton®'s classic rain boots pay homage to America's best in sprightly colors and playful, waterproof style. 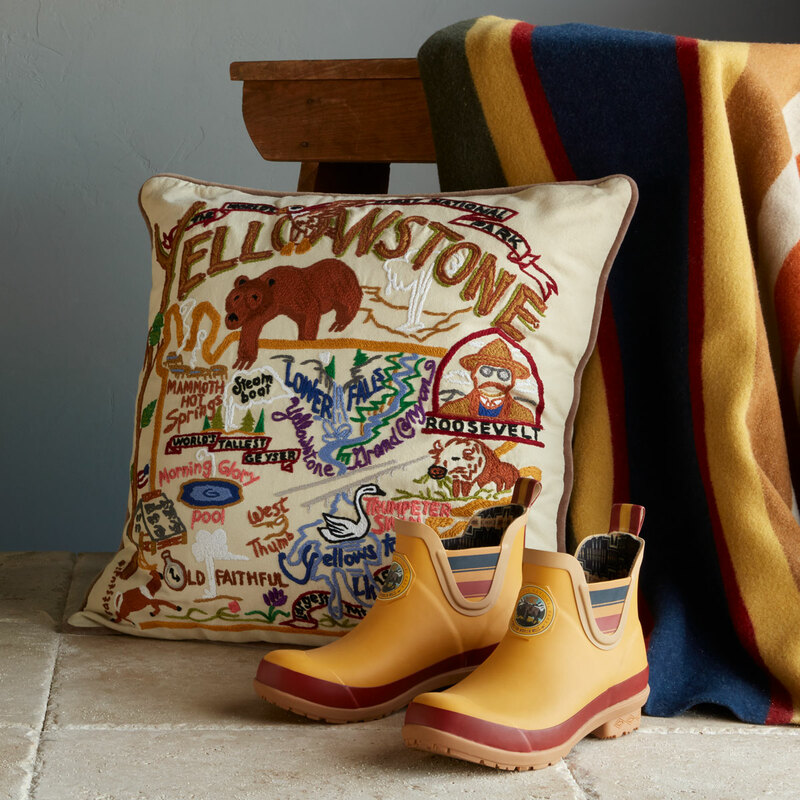 You'll splash into style wearing these National Park-themed Chelsea rain boots by Pendleton®. Discover and explore our full collection of short and ankle boots here. Here at Sundance, we always seek to inspire creativity. Happily, we’ve found Satorisan comfort footwear to be a great embodiment of that. Their designers take the classic silhouettes that we all know and love and give them their own unique twists. From the color palette to the materials, Satorisan is a brand that marries authenticity with creativity. We started offering footwear from Satorisan back in the spring of 2015 with the Kestrel Sneaker. In recent seasons, we have curated many of their other distinctive styles such as the Marnie Shoes, Silverlake Boots and Canta Boots, to name a few. The Satorisan brand is proudly built on the ethical values of balance, harmony, being good citizens of the world, providing quality and comfort with innovation and always being open-minded and young in spirit. The name derives from Satori, a supernatural ape-like creature from Japanese legend who is capable of reading people’s hearts and revealing their true inner spirit. Today, in Japanese Buddhism the word has come to mean understanding or enlightenment. To reflect this heritage and meaning, a tiny Satori representation can be found on all Satorisan styles. Satorisan has become a Sundance favorite because they combine traditional craftsmanship with premium materials to create footwear of exceptional quality. They stay true to their spirit by following their own trail rather than chasing trends. Theirs is a brand more focused on putting the best product forward than having a large distribution base. Most importantly, Satorisan is about the experience of feeling good. They believe this starts with your shoes and ends with being able to appreciate every experience in life – from the smallest things to the big ones. That sounds pretty deep, but it’s actually simple. Too often we forget to see what’s there. Happiness can be found in every step we take. We at Sundance embrace the Satorisan philosophy while also loving how all their footwear styles are exceptionally comfortable. This is true whether we are running around the office preparing for the next season, are out and about in nature or navigating the urban jungle that surrounds us. Check out our Satorisan comfort footwear collection today. And come back regularly for all the exciting things to come! We will be bringing back some customer favorites in new colors and fabrications, as well as introducing new Satorisan styles. One of the key themes of the Winter season is Nautical with a Sundance touch - stripes, solids, patterns and ocean-inspired blues. Stripes are big this winter season, and you'll see them continue into the next season - after all, nothing transcends seasons with more ease than stripes. Elemental Striped Top: Deep cuffs and velvet button plackets add a subtle sophistication to our soft, waffle-knit 'Elemental' striped top. This top has the quintessential stripe. Dressed up or down, layered or alone, the Elemental top is the striped staple you need. Our cute and cozy 'Elemental' striped top is a casual look that's beyond the ordinary. Sunset Melange Cardigan: Our thick, textural, eyelet knit cardigan features lovely, marled yarn stripes with an open front and shawl collar. Reminiscent of the sights and sounds of sea-ports, this cardigan will keep you warm and layer well with any outfit. The 'Sunset Melange' cardigan is a sensorial delight in a colorful, textural knit. My Way Tee: A thinly striped, super soft, jersey knit top with lovely lace insets at sleeves. You'll love the luxurious feel of jersey knit in this lace tee. The My Way Tee striped top is a bold, enduring classic with pretty lace detail. Discover our entire Nautical Redefined shop here. Long and colorful cardigans are also on trend this season for the long, colder months. Our women's cardigan sweaters add a special touch to any outfit. Floral cardigan sweaters impart a sweet softness to your style. Bring along a lightweight cotton cardigan to ward off the chill, or choose a cardigan sweater coat for indulgent warmth; pair one with a cami and jeans, or layer it over a light dress. Whatever your style, no closet is complete without a collection of cardigan sweaters. Oslo Dreams Cardigan: In addition to the Sunset Melange Cardigan, the Oslo Dreams Cardigan is a sure to be a favorite. Old World-inspired embroidery embellishes this elegant cardigan. Cozy into our Scandinavian-inspired cardigan and its soft fuzziness, with folkloric embroidery and whip stitch accents. Ultimate Cocoon Cardigan: Our oversized, mixed-stitch cardigan creates a cocoon shape that's soft and flowing. This cozy cardigan is the 'Ultimate Cocoon' of warmth and comfort. Explore all of our cardigans. No trend list is complete without cashmere during the cold winter months. Sophisticated and surprisingly versatile, a super-soft cashmere piece is an effortless way to upgrade your look into a chic statement. Simple Truths Cashmere Sweater: The graceful drape of our 'Simple Truths' cashmere cowl neck sweater proves the true beauty of simplicity. Unrivaled elegance abounds in this timeless piece. Experience the elegant comfort of our cashmere, cowl neck sweater. My New Love Sweater: Luxurious, super soft, cashmere jersey knit, with contrast neckline trim and deep rib cuffs and hem. 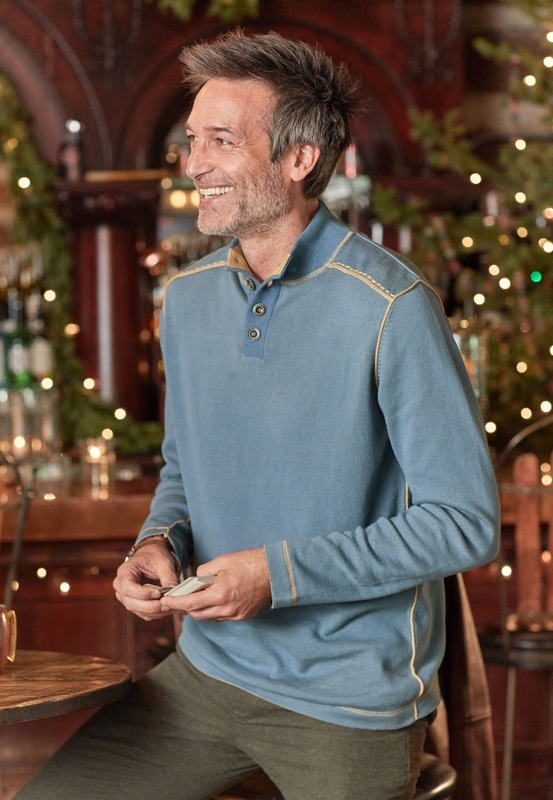 You'll fall instantly for this 'My New Love' sweater made of softest cashmere. One of our favorite statement trends is embroidered denim. 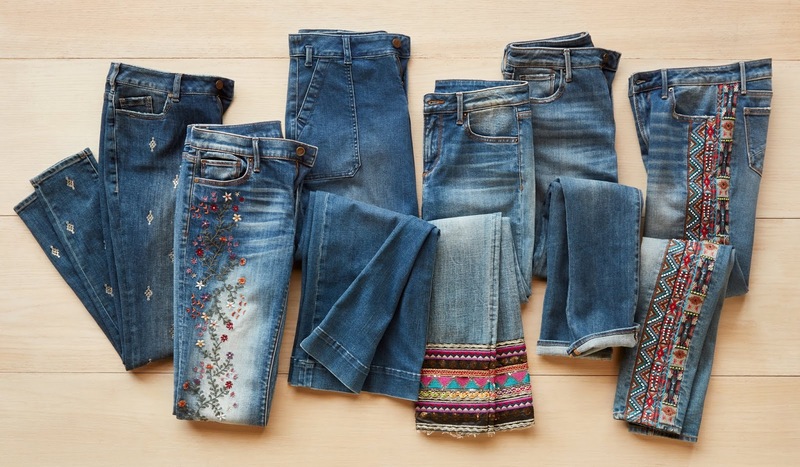 Embroidered jeans are among our most popular looks — a perfect blend of free-spirited style and feminine flair. Choose cropped jeans for casual weekends, or on-trend styles to brighten any daytime occasion. Whether you pair your denims with an easy tank or a silk blouse, find all your favorite jeans in The Denim Shop. Kelly Strawberry Blossom Jeans: Pretty floral embroidery adorns these flirty, Driftwood flare leg jeans. Meandering, floral embroidery and a hint of figure-loving shape make these jeans unique. Jackie Beaded Jeans: The coolest, five-pocket jeans. These appealing Jackie jeans by Driftwood are embellished with head-turning beadwork and embroidery. The fetching embroidery brings these jeans to life. Explore our entire collection of jeans here. The winter months bring a time to bundle up. Keeping warm, however, doesn't mean you have to skimp on style. From embroidered jeans and soft cashmere, to a nautical look with a Sundance twist, there are statement styles for everyone. Find your next favorite piece now in our winter collection. One of our defining passions at Sundance is the reverence we hold for natural landscapes. Being an ardent supporter of the national parks system, our founder Robert Redford holds the beauty of these places in high esteem. This translates to the backdrops of some of our photography shoots and some of the products we carry. From blankets, to apparel, to other home goods, we have something for everyone in our National Parks shop. 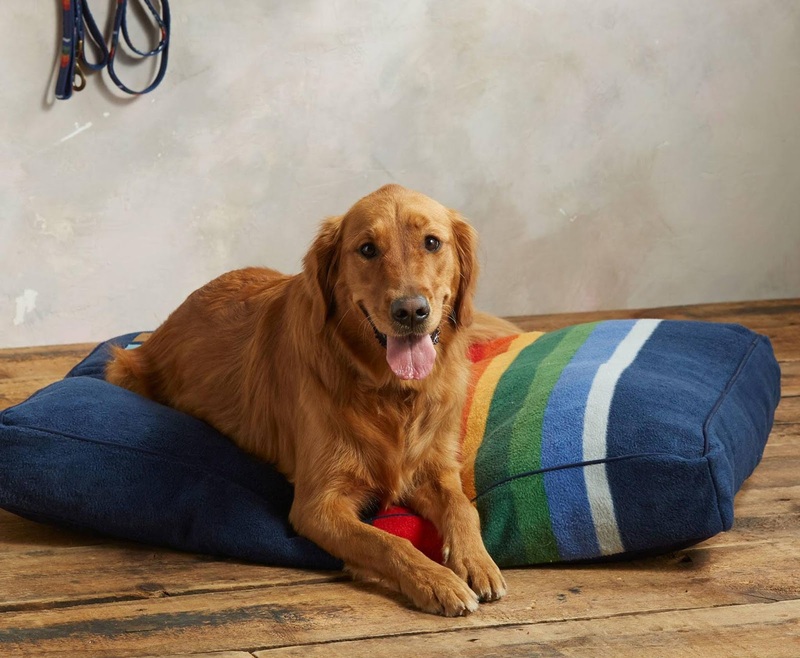 Inspired by the iconic National Park blanket series crafted by famed Pendleton Woolen Mills, walk your favorite canine on this handsome leash, and let them rest on this dog bed, and know that a portion of each purchase goes to help maintain America's national parks. 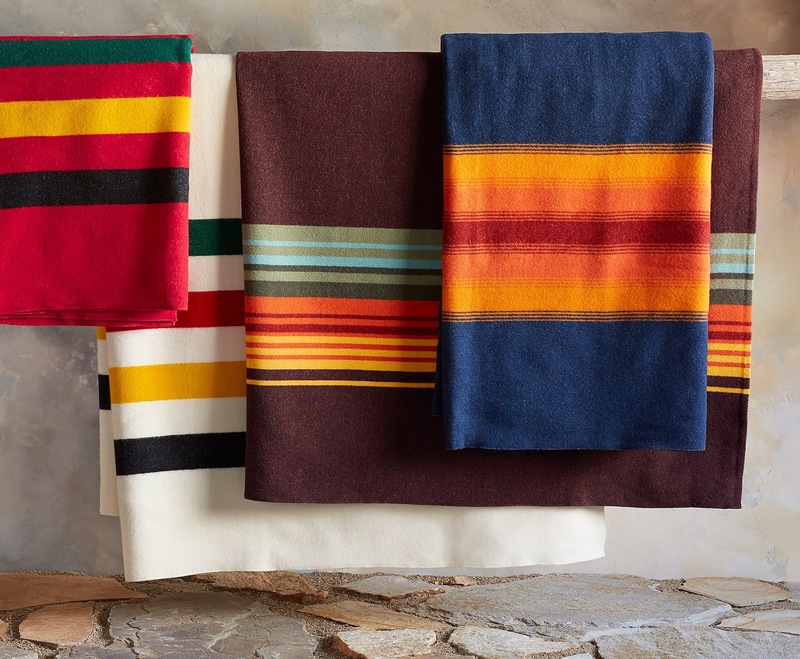 Making heirloom quality blankets since the early 20th century, Pendleton Woolen Mills® celebrates our national heritage in warm, soft wool blankets commemorating our great national parks. 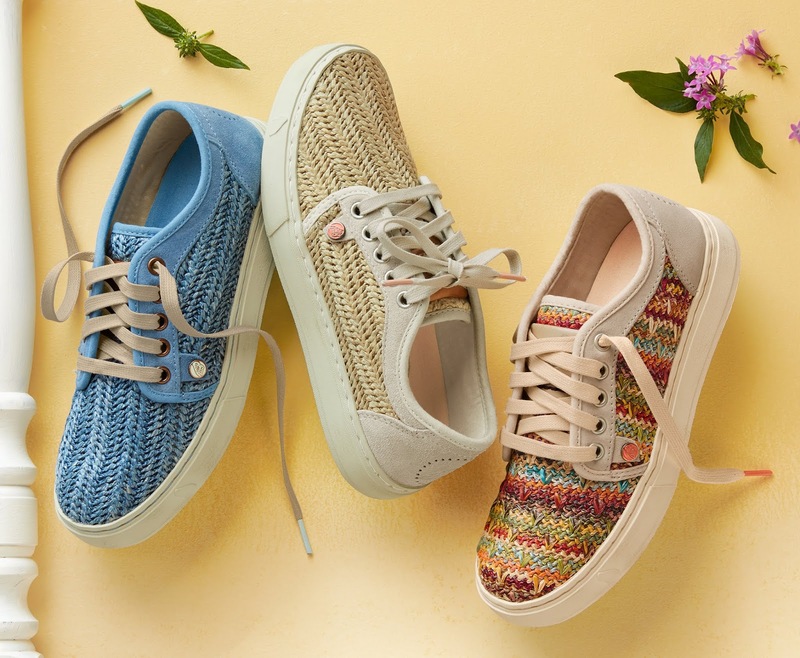 Woven in virgin wool, each is inspired by the unique beauty, character and colors of the parks. Whether donning your couch keeping you warm during movie night, or keeping you warm around the campfire while camping, the National Parks Blanket is sure to please. 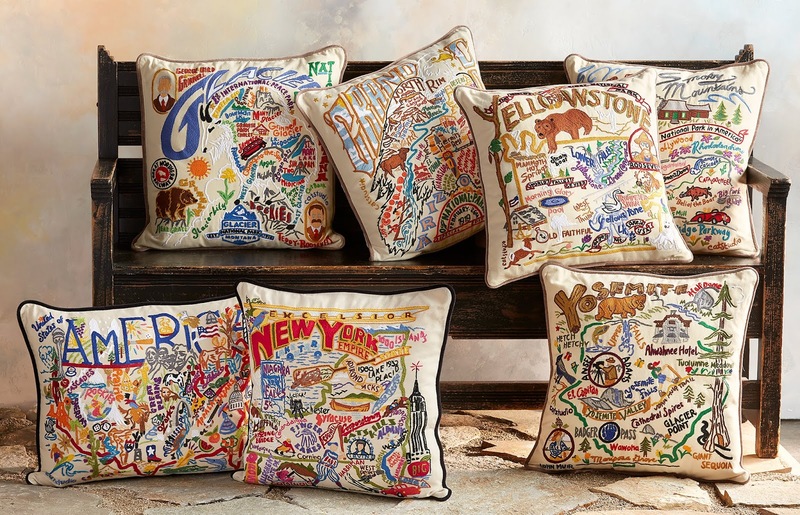 Inspired by Mid-Century travel souvenirs, these colorful pillows commemorate seven of our most-loved national parks. Requiring a week's work per pillow, each is hand embroidered on natural cotton finished with brown velvet piping. 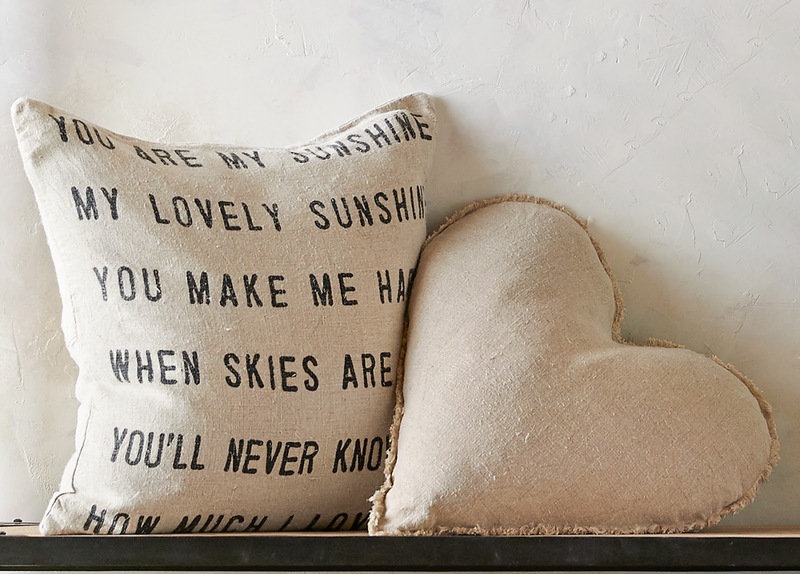 The pillow, whether a gift for someone else, or for your own home, is a great addition to any room. Explore the entire National Parks shop here.